The New Zealand Powerball is unlike other “Powerball” lotteries—in a good way. 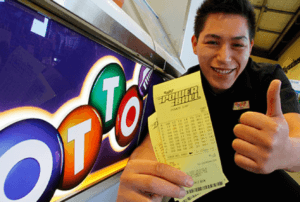 Eschewing the traditional formula used by just about any other lottery, the New Zealand Powerball acts as a supplementary game to the popular New Zealand Lotto. In other words, it’s completely dependent on the NZ Lotto. It’s unconventional, for sure, but it helps this lottery game stand out from the rest. Features like a big minimum jackpot, rollovers, and tax-free prizes—among others—round out the New Zealand Powerball DNA. What else does it have in store? Find out below! Originally, when the New Zealand Powerball was first introduced back in February of 2001, the format was different than what is currently used. For instance, 8 numbers were drawn—not to mention the fact that the minimum and maximum jackpots were set at NZ$1 million and NZ$15 million, respectively. As the years went on, the New Zealand Powerball saw various changes to the format. The minimum jackpot was raised to NZ$4 million, while the maximum was raised to NZ$30 million. In 2015, after the 7th prize tier was introduced, the maximum jackpot was raised to NZ$40 million—and then, eventually, raised to the current threshold. Supplementary Game: The New Zealand Powerball, unlike other lotteries, is a supplementary game of sorts. To play, you must first play the New Zealand Lotto—and, after choosing your main NZ Lotto numbers, pick an optional Powerball number. Bi–Weekly Lottery: Draws are held every Wednesdays and Saturdays. Minimum Jackpot: New Zealand Powerball jackpots start at NZ$4 million. Jackpots Can Rollover: Like its popular US counterpart, jackpots of the New Zealand Powerball rollover if no one wins a draw. Seven Ways to Win: In addition to the jackpot, the New Zealand Powerball also features six secondary prize tiers. To win a prize, you must match at least 3 numbers. Tax-Free Prizes: All New Zealand Powerball prizes are 100% tax-free. How Does New Zealand Powerball Work? To play NZ Lotto, pick six numbers from a guess range of 1 to 40. You can pick your numbers manually, or you can also have the process automated by creating Dips of ten. This means that around 15 to 20 lines will be randomly generated. Take note that you need at least four lines to enter a draw. Once you’re done choosing your numbers, opt-in to the Powerball by adding it to any of your NZ Lotto lines. Each Powerball entry costs an extra NZ$0.80. Choose a number ranging from 1 to 10. To win the New Zealand Powerball, you must match all six NZ Lotto numbers and—of course—the Powerball number. Keep in mind that the six numbers can be in any order. If you don’t win the jackpot, you can still win in six other prize tiers. In fact, you can win a prize by matching at least three NZ Lotto numbers, along with the Powerball. Speaking of prizes, the New Zealand Powerball jackpot starts at NZ$4 million. If no one wins the coveted grand prize, then a rollover will occur—which could result in even bigger prizes down the line. Even better, draws are held twice a week (every Wednesdays and Saturdays), so prizes could grow faster. That said, New Zealand Powerball imposes a NZ$50 million rollover cap. This means that if the jackpot reaches that amount, someone must win the grand prize during a special “Must be Won” draw—otherwise, it will be shared among winners of the next prize tier. So What Happens if You Win? Winnings up to NZ$1,000 can be directly claimed at any Lotto NZ outlet. Upon submitting your ticket, you can immediately receive your prize at the terminal. Winnings over NZ$1,000, meanwhile, can also be claimed at any Lotto NZ outlet—but you must complete a prize claim form first. If you win larger prizes can claim their prizes at Lotto NZ’s Auckland office. Another thing to keep in mind is that winners have a total of 12 months from the date of the draw to claim their prizes. All prizes that remain unclaimed after the 1-year deadline are considered void—in which case, it will go simply go back to the prize pool. As for taxes, New Zealand Powerball prizes are 100% tax-free at the source. Of course, if you live in another country, it’s a different story. As such, better check your local tax laws. Among lottery games with the “Powerball” name attached, the New Zealand Powerball is the only one that is dependent on another lottery game (the NZ Lotto). The largest number of tickets that were sold in a New Zealand Powerball draw was during November 9, 2016—when one winner walked away with the NZ$44 million jackpot. According to statistics, some of the most common numbers picked are: 19, 15, 13, 26 and 9. Some of the least picked numbers, meanwhile, are: 5, 34, 38, 8, and 16. Ready to take on the New Zealand Powerball? Though the New Zealand Powerball deviates from usual lottery conventions, it offers features that should make lotto lovers everywhere take notice. Jackpots, for instance, start at a sizeable NZ$4 million—and could keep growing until someone wins, or the NZ$50 million threshold has been reached. More than that, you can also win in 6 other secondary prize-tiers. Of course, it also helps that the odds are quite decent and that the prizes are 100% tax-free. These features alone make New Zealand Powerball worth looking into.